Focus – the center of interest or activity; the state or quality of having or producing clear visual definition; adapt to the prevailing level of light and become able to see clearly; pay particular attention to. The Bible has some interesting things to say about what we as Christians should be focusing upon. II Corinthians 5:1 While we look not at the things which are seen, but at the things which are not seen: for the things which are seen are temporal; but the things which are not seen are eternal. Living in this world makes it hard to focus on spiritual things because we live in these five-senses oriented bodies and cannot see the spiritual realm. The spiritual realm governs the physical realm which is why we need to shift our focus from the physical, what we can see, to the spiritual, what we cannot see. We do that by exercising faith. II Corinthinas 5:7 For we walk by faith, not by sight. Most of humanity walks according to sight, which is a figure for the five senses. Most of us make our decisions based on what we can see, hear, smell, taste and touch. It’s comfortable for us to do so, but we are missing the real world when we do. The real world is spiritual, and by faith we are able to focus on what’s real as opposed to what ‘seems’ real according to our five senses understanding of things. But how do we get this faith so that we can see the unseen? So we can focus on spiritual realities instead of five-senses impressions? Faith is not something you produce by repeating affirmations over and over again. Faith is not something that originates within your mind. Faith comes only one way — by hearing the Word of God. Hearing means receiving and understanding; it involves putting the Word together, letting it interpret itself to us so we can clearly know what God is saying. It takes some work and God highly honors the workmen of His Word. II Timothy 2:15 Study to show thyself approved unto God, a workman that has nothing to be ashamed of, rightly dividing the word of truth. Faith isn’t something you produce yourself. Its imparted to you directly from God’s Word. God’s Word is a living book; it’s not just ink on paper. I used to be careful not to set my Bible on the floor because I felt I would be degrading the Word while in actual fact, the printed words on paper are only that. It’s when we absorb those words and believe them that faith is generated within our beings. When you pray for something, do you have faith that God will answer your prayer? Many will say, “yes”; many will say, “I hope so” or “I try.” Let me reveal one of the most unknown things about faith and prayer. Your faith should be in God’s Word, not in God answering your prayer. God always does His will. God always honors His promises revealed in His Word. Rather than believing God will answer your prayer, believe God’s Word is God’s Will and He has to bring His will to pass because of Who God is. God is faithful. He sent His Word and it will accomplish that which He desires. Ephesians 4:21 If so be that you have heard him, and have been taught by him, as the truth is in Jesus. Truth is that which does not change — truth is the same yesterday, today and forever. Jesus Christ is truth, and when we focus on Jesus we walk in the light of truth and the truth will sustain us. These are not glib, empty statements; these are statements confirmed by the very Word of God. When Jesus returns the whole world system will stop and the nations will be judged. Those found worthy will gain entrance into Christ’s millennial kingdom and those who fall short will be destined for ‘outer darkness’ until such a time that they do, from the heart, believe the truth in Jesus Christ. However you and I, as Christians, have already been judged in Christ and will not go through the judgement I just spoke of. We’ve been cleared, justified, sanctified and redeemed. We have already received the atonement (we are at one with God) and rejoice in the hope of God, i.e. Christ’s return. Focus on Jesus, the author and finisher of our faith. 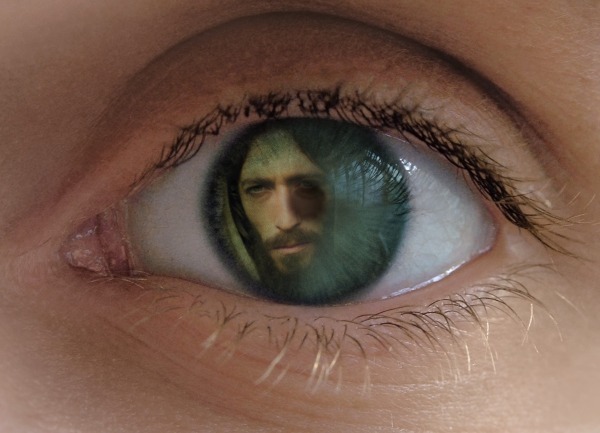 Hebrews 12:2 with our eyes fixed on Jesus, the author and finisher of our faith, who having been offered joy, endured the cross, despising the shame and was seated at the right hand of the throne of God. What Changes When we Focus on Jesus? What we are discussing sounds good and right, but what’s the difference between focusing on the temporal rather than the physical? What changes when we focus on the author and finisher of our faith, Jesus? Your trust changes from yourself, people and circumstances to Jesus who is spiritually over all. Your attitude changes from self-dependence to dependence on God for all you need and do. Your ability to do whatever needs to be done increases with the power of God so you don’t have to rely on yourself or others. You are transformed to a person who trusts and depends on your Father, God and your Lord Jesus Christ rather than a person who is on their own in this world. Can you see the difference? Can you see the benefits of focusing on Jesus rather than yourself? John 15:5 I am the vine, ye are the branches: he that abides in me, and I in him, the same brings forth much fruit; for without me ye can do nothing. 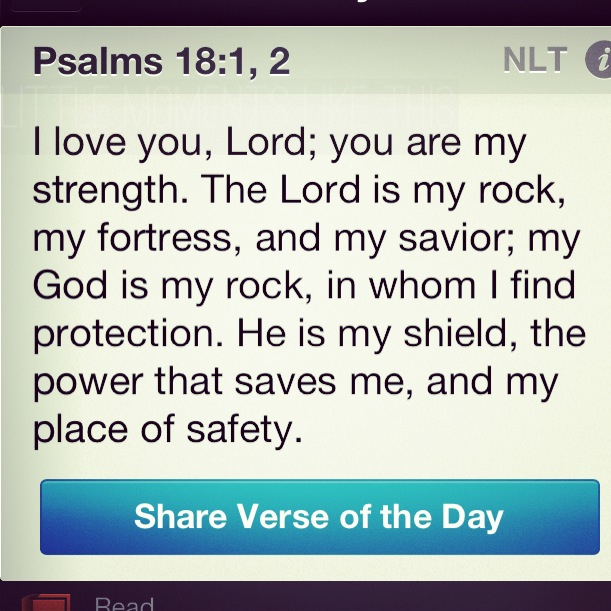 That verse says it all. Focus on yourself and you can do nothing of any spiritual significance. Focus on Jesus and you can do all things through him who infuses you with inner strength. One great thing God has given us is choice. Every one of us has the choice to receive God’s Word with meekness and to stand on it with conviction, or to ignore God’s Word and stand on our own. While it may seem easier to ignore the spiritual reality of life and depend on our five senses understanding of things, it is really much harder. God knows all, sees all and works all things together for good as He accomplishes His will on earth. When we focus on spiritual truth, God can work within us and direct us to the desired result. Focus on Jesus! Focus on truth! Focus on that which is eternal, not that which is temporal. This is your calling and privilege which Jesus will help you aspire to. Be fruitful in your life by focusing on Jesus. Good Morning! It’s Christ in You — Have a Great Day! Good morning to you. What makes it a GOOD morning? Jesus. Jesus makes my day. He can make yours too if you let him. Why am I so positive today? Because it’s a day the Lord has made! I will rejoice and be glad in it. I have so much to look forward to today and every day. Let me explain why I’m so excited about life. Psalm 118:24 This is the day which the LORD has made; we will rejoice and be glad in it. I have lots to look forward to today. Whether rain or shine, I am in Christ and Christ is in me. No matter what anyone says or does to me, I am in Christ and he is in me. There is absolutely nothing that can change what God says about me and what God has promised He will do within me and for me. My perception has changed to see things from God’s point of view rather than the five-senses point of view. I choose spiritual over natural because the spiritual realm governs the natural realm and through Christ, I am more than a conqueror in this world. Colossians 1:27 To whom God would make known what is the riches of the glory of this mystery among the Gentiles; which is Christ in you, the hope of glory. Christ in who? YOU! You and me! All Christians! This is quite amazing if you really think about it. While Jesus was here on earth, he was in one place at one time. Now with Christ in every single believer on the plant, Jesus is everywhere at once, through his church! Now that’s getting around! It’s Christ in you — the hope of glory! The more Christians that realize these magnificent, power-imparting truths the stronger the church will be here on earth. Hope is defined as that which God has promised will happen that has not yet happened. It’s different from man’s ‘hope’ which is wishy-washy. “I hope I get a raise at work…” “I hope he asks me out…” etc. Those ‘hopes’ may be realized or may not be, but the hope God gives us is sure. What God says He will do, He does. That’s why our God-given hope is a hope that brings forth fruit in those who believe it. That’s a sure hope. What is this hope, you ask? Our hope includes all the promises of God related to the near-future return of Jesus Christ, the setting up of his millennial kingdom, and the new heaven and earth to come. These are future realities that absolutely trump anything having to do with this earth. These are the things we need to fix our sights on if we want to stand strong for God and our Lord Jesus Christ right now. Our hope is the ‘anchor’ of our lives. It keeps us grounded in the truth. Glory is defined as the manifested power of God. It’s God in all His fullness, all His awesomeness, in all His power. Our hope (God-given promises about the return of Christ and all that follows) of glory (the manifested power and presence of God) is evidenced in us by “Christ in you” which is a figurative name for the spirit of Christ within. II Corinthians 3:17,18 Now the Lord is the Spirit, and where the Spirit of the Lord is, there is freedom. So now that I have the spirit within and the hope of Christ’s return to keep me steadfast in my walk, I can truly say this day is a day the Lord hath made and I will rejoice and be glad in it. Christianity is the most exciting belief system around because it’s true and because of what God has done for us already and what He’s promised He will do in the future. So my brothers and sisters in Christ — what will you do today with that awesome power of Christ in you? I’ve listened to highly public figures over the past couple of years that have done little to promote peace and unity in America. Instead they have poured out volumes of divisive rhetoric to further their own agendas. From politicians who can’t speak without lying, misleading and covering up their own mistakes, some of which are deliberate, to so-called civil rights leaders who do nothing but take opportunity at every event to spew out more hate and division. Do any of these ‘leaders’ really care for people and for our country? I think not. The riots across the United States are evidence of this rhetoric. Before even reading the evidence digested by the Ferguson Grand Jury, I heard a Senator condemn their decision. Before even considering what the evidence clearly shows, I heard civil rights leaders cry discrimination against blacks. Nobody I heard even cared what the evidence shows. If it were up to these people, the police officer involved would have been slung up and hung without even a trial. Forget the fact that he was pursuing a crime suspect who slammed his own car door on him and assaulted him in his car. Forget the fact that the suspect refused arrest and fled from the scene. Don’t mention the fact that he came charging head down like a football tackle toward the officer who was instructing him to stand down and get down. I’m not commending the shooting of the crime suspect, I’m calling into question the speech and conduct of those who try to make that tragic incident out to be a racial issue, who speak without examining all the facts. Does anyone in American leadership believe that a person is innocent before being convicted in a court of law? Yes, the crime suspect was only a suspect, not yet guilty as charged. But the police officer is innocent until proven guilty as well. It was his job to arrest the suspect who refused arrest and had physically attacked him once already and was charging at him to assault him again. Was he within his rights to shoot the suspect? I’ll leave that up to the police and the Grand Jury because they know the rules of engagement much better than I. But to say the system doesn’t work because the officer wasn’t indicted is a fallacy. The Grand Jury did what they were supposed to do and found no evidence of wrong-doing by the police officer. Because of the statements by ‘leaders’ in our country, this incident got taken completely out of context and has resulted in riots across the United States. This was not a race crime. The suspected criminal should not be exhonerated and made out to be the victim. The police officer should not be vilified and lynched like some would like to do. And the violent protesters — the rioters, not the peaceful protesters — should not use the Grand Jury’s decision to devastate private and public property and loot the local stores. Where is the sense in this? 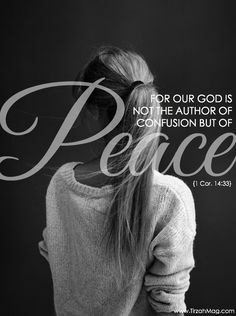 I Corinthians 14:33 For God is not a God of disorder but of peace–as in all the congregations of the Lord’s people. The present dialogue coming out of influential people is mostly divisive and only incites hate and division. Have they not understood the oaths which they have taken? Do they not know that dividing our country will only serve to destroy it. Consider our Lord’s words in Matthew 12:25. Matthew 12:25 And Jesus knew their thoughts, and said unto them, Every kingdom divided against itself is brought to desolation; and every city or house divided against itself shall not stand. Are these ‘leaders’ purposely trying to incite a racial war? Are they actually trying to cause division to further their own agenda? I pray not, but I suspect that might be the case. The ‘shadow government’ may want such a scenario to further their own agenda. I’m just postulating this fact since there is so much build-up and emphasis on racial divide by those in power. Yes, racism is still an issue in the United States, but causing it is the bigger sin. Let me say that again. Racism is still an issue in the United States but causing it is the bigger sin. 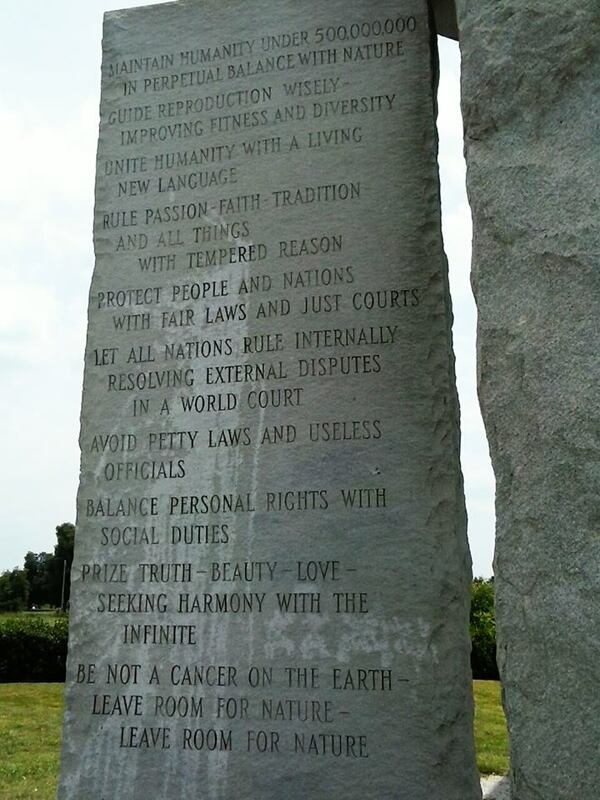 Those in the position to influence others should be using their positions to further peace and heal our nation. They should be instilling confidence in our legal system while working to make it even better. They should be considering the fate of our nation as a whole instead of their own agendas. By all means they need to consider the evidence in a case before blasting out their own opinions, our President included. Let us who are of faith pray into this situation earnestly. The fabric of our very nation is in turmoil. Let’s pray people calm down and not use situations and events to cause further hate and division. Yes, there are problems. But only the God of peace can help us solve them. Spewing out rhetoric will never do anything but cause negative results. Philippians 4:6,7 Be anxious for nothing; but in everything by prayer and supplication with thanksgiving let your requests be made known unto God. There are very many anxious people in our country today. Lord may they turn to you in prayer and supplication with thanksgiving asking you to heal our nation so that your Word may prevail and continue to be broadcast from here. Lord please heal our nation. You Are the Gift! What Are You Giving? 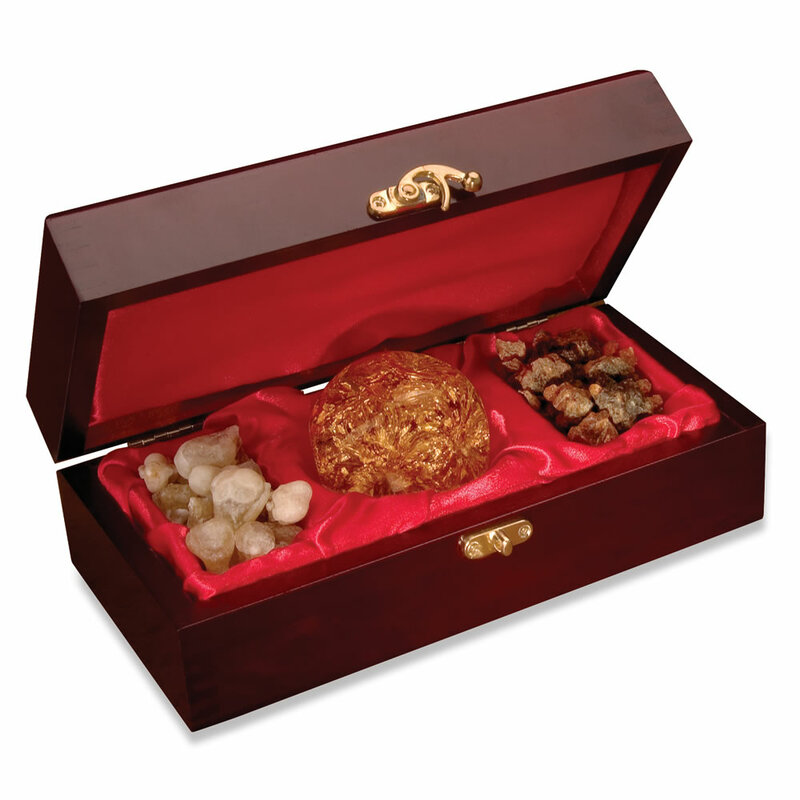 With Christmas season upon us, I’m reminded of the gifts the wise men brought to Jesus: gold, frankincense and myrrh. Let’s see why they brought those specific gifts to he who would become King of Israel. The wise men gave these gifts in recognition of who this Savior was and what he would accomplish. The gifts therefore were about Jesus and had nothing to do with anything else. Perhaps the most widespread Christmas tradition is the giving of presents to family, friends and the needy. While giving is to be commended, I wonder how many of these gifts say anything about Jesus himself. Jesus’ birth is the reason we celebrate the holiday. I can’t help but see the twist in how we celebrate Christmas compared to the original ‘Christmas’ (Jesus’ actual birthday). In the original, gifts were given to the young child Jesus; in modern practice we give gifts to each other and most of the time those gifts say nothing about our Savior. What a concept! It’s Jesus’ birthday we’re celebrating, right? Why not give HIM a gift this Christmas season? You ask, what gift can I give the King of Kings and Lord or Lords who has been placed over the entire creation by his Father, God? Good question. What could he possibly want that he does not already have? Shall we build him a house? No, he prefers his Father’s house. Should we buy him a car? No, he can be anywhere he wants at any time; in fact spiritually he can be everywhere he wants to be at the same time, but don’t fry your brain trying to figure that one out. It’s spiritual and we can’t understand it with our five-senses carnal mind. Shall we give Jesus milk and cookies like we’ve taught our children to give to Santa Clause? No, he is the bread of life and the water of life. He has all the sustenance he’ll ever need. So what can we give Jesus that he would really appreciate and hopefully use to his advantage? How about giving Jesus yourself this Christmas? If you haven’t given yourself to Jesus yet, that’s the only gift he wants from you. That’s the only gift he can use. You are the gift Jesus desires. Jesus wants your heart. Remember when he said he must be about his Father’s affairs? Luke 2:49 And he said unto them, How is it that you sought me? knew you not that I must be about my Father’s business? There’s a thought! Let’s be about our Father’s business too! And what better time to join in than Christmas when it’s very easy to openly talk about the birth of the savior of the world? How can Jesus use you? Keep in mind by “use” I don’t mean in man’s sense of the word. Jesus doesn’t ‘use’ people with no regard for them to accomplish what he wants. No, no, no. That’s a degradation. Jesus is all interested in your growth and your perfection. As you mature in him, he will use your abilities, your talents and your heart to reach others for him. You will grow even more in the process; that’s how gracious our Lord Jesus is. I’m glad you asked that question because the Word of God has the answer for you. Here it is. I Timothy 2:20-26 In a large house there are articles not only of gold and silver, but also of wood and clay; some are for special purposes and some for common use. And the Lord’s servant must not be quarrelsome but must be kind to everyone, able to teach, not resentful. It’s exciting to walk with our Lord Jesus, and it’s a privilege to speak on his behalf. It’s also a grave responsibility to those who know the truth and live it. I encourage you to give yourself wholeheartedly to our Lord right now and never pull back. Yes, times could get rough, you may become a marked man or women, but you’ll be marked for the Lord. That’s the best marks you can get! Give yourself to our Lord Jesus Christ. He’ll never let you go; he’ll never let you down. Give your all to him and see what he’s got for you in its fullness this holiday season and every day of the rest of your life. Genesis 1:1 In the beginning God created the heaves and the earth. What a magnificent act that must have been! The angels were already created as they watched in total awe. Job 38:4-7 “Where were you when I laid the earth’s foundation? What I want to discuss today is light. Not physical light, but spiritual lights. Scientists have recently discovered particles smaller than an atom that they believe make up the foundation for all matter. This new field of science is called Quantum Mechanics that delves into these things and that is far too complicated for me to understand without spending the time to learn. But what holds all these things together? Light energy. Light is carried by photons, but now I’m starting to get too technical. “Light energy” upholds physical matter. In verse 2 of Genesis we read a remarkable statement that the creation ‘became’ chaotic and unable to sustain life. Now in just about every translation of the Bible out there, the word “became” is translated “was” making the verse say God created the earth that way, but this is not the case. Isaiah 45:18 For thus has the LORD said that creates the heavens; God himself that forms the earth, he who made it and established it. He did not create it in vain; he created it to be inhabited; I am the LORD; and there is no one else. The same Hebrew word for “without form” is used in Isaiah 45:18 where the word “in vain.” God did not create the earth “in vain” or “without form” but created it to be inhabited. 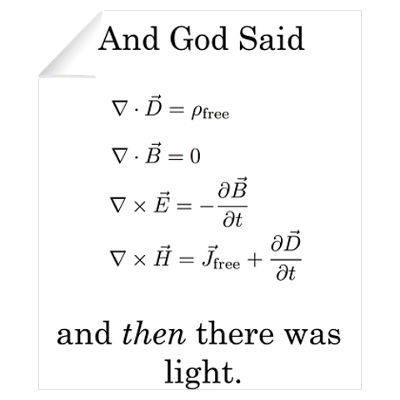 Genesis 1:3 And God said, “Let there be light.” And there was light. There are several other verses to consider, but I only wanted to introduce this concept, not fully elaborate upon it. You can find plenty of research on it online, both supporting it and disproving it, but I think the evidence is in favor of it myself. You decide for yourself. The purpose of bringing it up in this post is to show that the entire physical creation is upheld by light energy. What about the spiritual creation? Yes, that is what God “is.” (By the way, god is not a name, it’s a title. The Creator’s name is YHWH (Hebrew has no vowels). What is spirit? I can’t say. I live in the physical realm. Spirit lives in the spiritual realm. Physical things are visible. Spiritual things are invisible and eternal. My finite mind cannot truly, fully comprehend the invisible things and neither can yours. I Corinthians 2:14 But the natural man receives not the things of the Spirit of God: for they are foolishness unto him: neither can he know them, because they are spiritually discerned. If you want to receive spiritual things, you have to have the spirit God gives. That is what ‘the new birth’ is all about. You must, absolutely, be born again to receive, be part of, see the kingdom of God. Spiritual light upholds physical light which upholds the physical universe. God is that spiritual light and so is His son, Jesus. Colossians 1:17 And he [Christ] is before all things, and by him all things are held together. By Christ, who is ‘the light’ all things are held together, all things cohere. So where am I going with this? I just want to encourage you to let God light up your world. We’re talking spiritual light here. You want to see where you’re going spiritually, right? If you walk down a dark street in the night, you better know where you’re going because you may not be able to see the street signs in the darkness. When you walk though life without spiritual light, you can’t see through the darkness to what is true. So how do you get this spiritual light by which you can know and understand spiritual things? Romans 10:9,10 If you confess with your mouth the Lord Jesus and believe in your heart that God raised him from the dead, you shall be saved. For with the heart man believes unto righteousness and with the mouth confession is made unto salvation. Come join us in the spiritual realm! Confess Jesus is Lord, believe God raised him from the dead and let God light up your world!